One of the highlights of summer in the city is the opportunity to hit up super sales at some of our fave shops. And while the fact that slashed prices mean that fall is inching closer, we like to look at things with a glass-half-full mentality. Instead of freaking out ‘cause the BBQs and weekend jaunts are coming to an end (or, just beginning if you celebrate Indian Summer as hard as we do! ), we’re excited to load up on lovely looks for a lot less. On that note, here are two sales you definitely won’t want to miss. Money doesn’t grow on trees, but if you head to Seedstore this weekend you just might feel like it does. 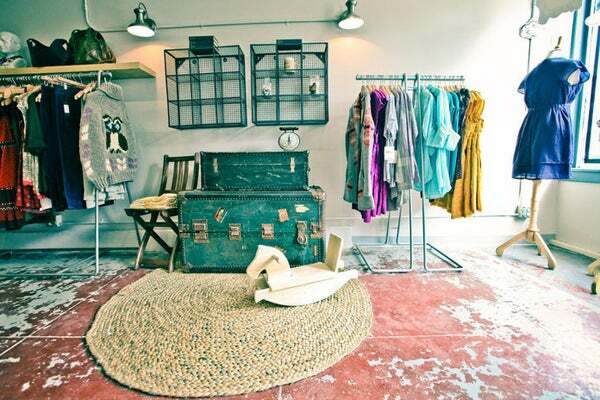 The Inner Richmond retailer is cutting the prices on select spring and summer styles by 50%. With inventory including Nudie Jeans, Minkpink, and Penfield — this sale will surely help your closet flourish. Just make sure you hit up the outpost ASAP because these ‘fits are sure to go fast. This is a little treat for any East Bay dwellers or folks who know that buying a BART ticket is totally worth the bargain. Sophisticated-chic Piedmont boutique McMullen is offering up to 60% off spring and summer markdowns and slashing the cost of spring and summer denims to $99! This sale includes luxurious labels like Equipment and Rag & Bone. But, take note that all items are final sale and only available at the Grand Avenue location. We’ll see you there! Where: McMullen, 1235 Grand Avenue (between Sunnyside and Fairview avenues); 510-658-6906.